This cute ice-cream kiosk parked near the restaurant arcade at One Horizon Center caught my eye. The sign read - Tongue Twisters - Creamier to the Core. The guy handed out a menu that had the usual Belgian chocolate, strawberry and peanut butter flavours, but a few interesting ones as well like paan, rose petals and honey lemon ginger! Having a soft spot for anything red velvet, I got a single scoop of their red velvet cheesecake ice cream. And true to their name - it was amazingly creamy and super light and it fulfilled my sweet tooth to the core! I was expecting more red velvet in the ice cream- there was just a small sprinkle of red coloured crumbs in my portion. They make cookie ice cream sandwiches as well! I plan to try that the next time I'm there. 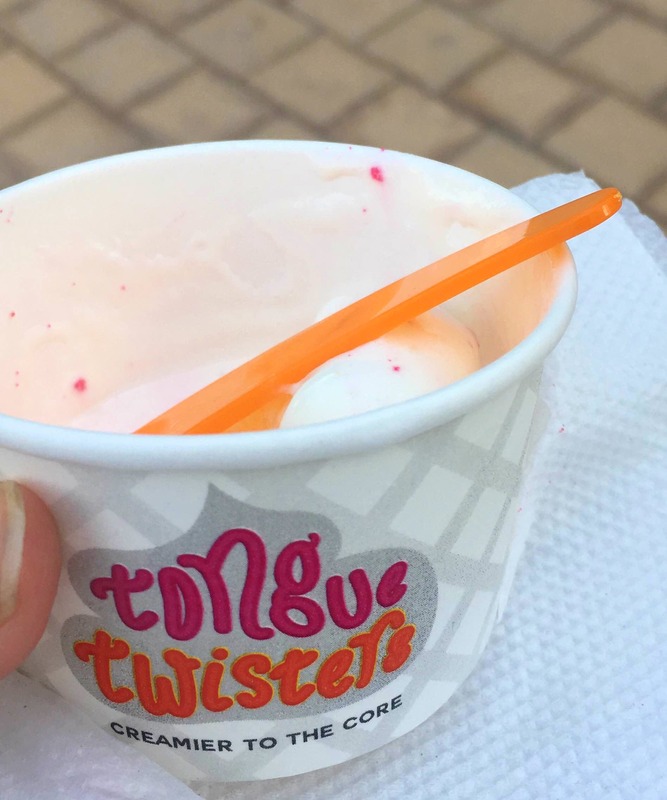 A quick search told me they have 2 more outlets in Gurgaon - sec 15 and sec 29 so you could try these super creamy ice creams there if a visit to one horizon is not on the horizon.